Never had a beemer before, anyone know what they tend to sting you on the servicing costs ? 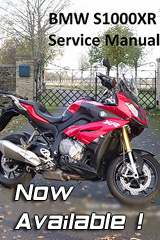 I know the XR is an unknown at the moment but are BMW dealers ok with servicing costs or is it generally expensive ? I'm used to do my own servicing but as I've got older the novelty has worn off ! 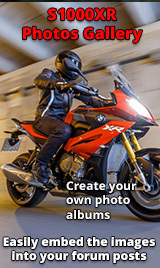 Like most motorcycle brands servicing costs vary widely between dealer and country. You're probably looking at £100 - £150 for the first service (due at 600 miles). However check with your dealer what it will be. Sometimes you can negotiate the price of the first service when you buy the bike. Again that varies from dealer to dealer but sometimes there's a little leway with the first service. Whatever it won't be as bad as servicing a Ducati Multistrada, those are pretty scary cost wise to service !